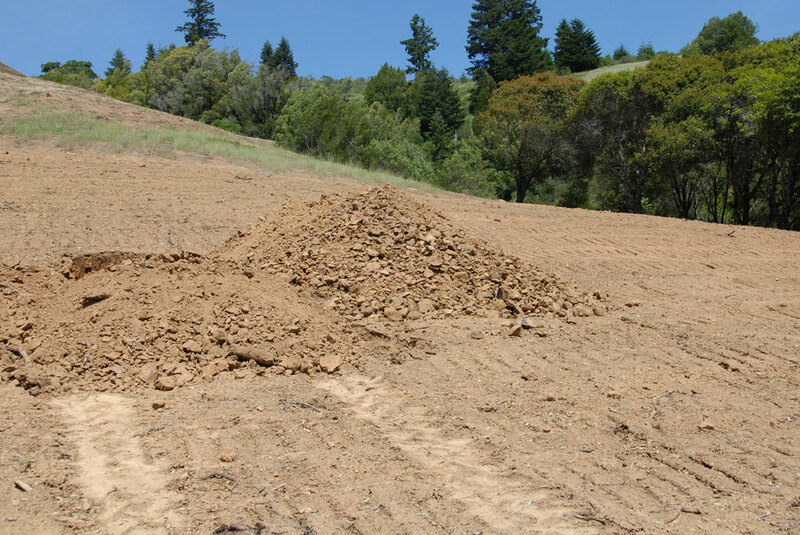 Our new vineyard blocks will be focused on the steep slopes with grades of 20-40%. These areas are more expensive to plant and farm but will make the most complex and balanced wine. Developing new vineyards is a real passion at Rhys. Fueled by a strong belief that the New World’s best Pinot Noir sites are still undiscovered, we find the allure of unlocking this exciting potential just too powerful to ignore. Since our last plantings at Skyline and Horseshoe vineyards 5 years ago, we have learned a great deal about the most desired characteristics and optimization of vineyards on the Pinot frontier. Our current vineyards offer a fascinating laboratory with a multitude of variations in soil, climate, geology, vine material and exposure to the sun. By micro-vinifying each of these combinations and individually evaluating each resulting wine, we have been able to learn a great deal about the most important site characteristics for producing the style of complex, balanced and expressive Pinot Noir that we love. 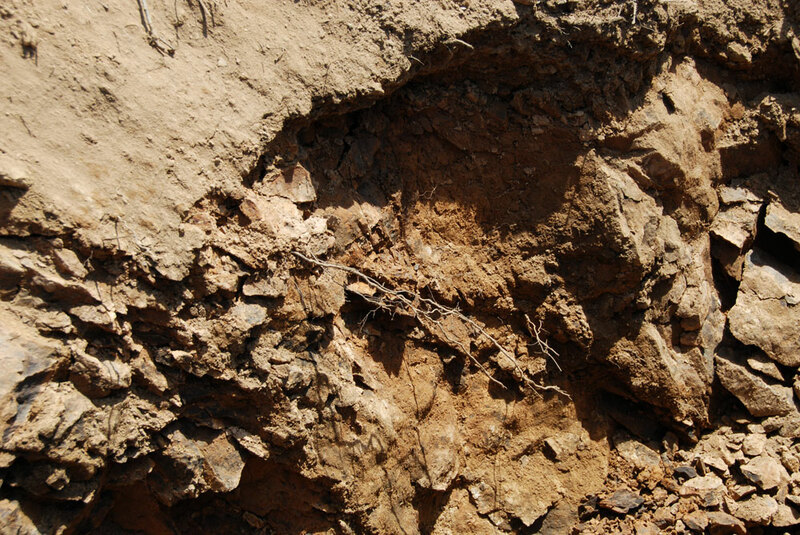 While we have developed a perspective on many vineyard criteria, it is clear that the most important attributes are a combination of shallow soil over fractured rock and a cool climate. 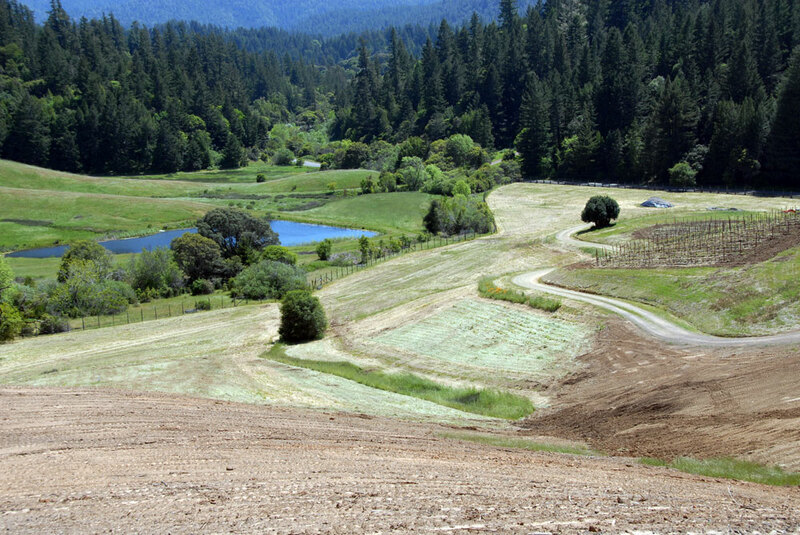 Since only a select few small portions of California offer these combined characteristics, our search for a new vineyard site was constrained to small sections of the Santa Cruz Mountains and Anderson Valley. The terrain is quite varied but only the steep slopes have the shallow topsoils and low clay content necessary for truly great wine. We are not going to plant vines in the flat, deeper-soiled areas. While it has been difficult to restrain our ambitions over the last five years, we wanted to be certain that our next vineyard would offer a completely unique and exciting wine to complement our current lineup. The dual criteria of ideal vineyard characteristics and a desire for wine expression that is distinct from our current vineyards’ ultimately led us away from our base in the Santa Cruz Mountains and toward a small section of the Anderson Valley. While this valley has produced Pinot Noir for many years, some of the newer plantings in the most western or “Deep End” of the valley have shown particularly outstanding potential. The upper slopes of this area produce wines that exhibit powerful minerality, site-based complexity, intense, crunchy cherry fruit and the low alcohol that is critical for Pinot Noirs of delicacy and finesse. This might just look like a pile of rocks, but this sort of sub-strata is really exciting for lovers of site-expressive wine! Shallow soils. This naturally aids vine balance, limits vigor and is critical for producing ripe fruit with low alcohol. Deeply fractured and rocky subsoil. This allows vine roots to penetrate deeply but still struggle. It is key for wines that exhibit natural complexity. Steep non-forested slopes. 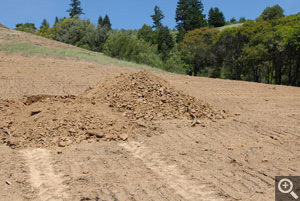 The slopes offer the perfect soil profile. 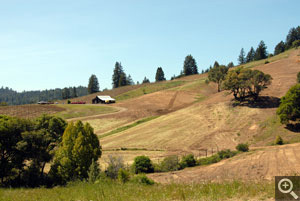 Non-forested grasslands have the low fertility and soil chemistry that is optimal for wine quality. Iron rich soils. We love Pinot Noirs that exhibit “minerality.” Pinot Noirs that exhibit this complex character are usually found on soils with high iron content. Moderate clay content and limited water holding capacity. We have learned to look for soils with a clay content of 25% or less. Cool climate. While a wide range of climatic conditions can produce great Pinot Noir, we prefer the crunchy fresh fruit character produced by the coolest sites. Of course, there are inevitable drawbacks and risks with each site. Like our Alpine and Horseshoe vineyards, this area suffers from low yields and a high risk of frost. While low yields are positive for quality, they do dictate challenging economics which we are already familiar with through our Santa Cruz Mountains operations. Our Bearwallow Vineyard is named after the Bearwallow-Wolfey series of soil that dominates the property. Unlike our other estate vineyards, which had no vines when we started, this vineyard already has 7 acres of 9 year old vines that are in production. These vineyard blocks are well situated on the slopes and they have always been farmed organically. We are excited about the potential of better choices of spacing, clones and rootstock for our new plantings. While waiting for the new blocks to come into production, we are making Pinot Noir from the existing vines. 2008 will be the inaugural vintage for Bearwallow Vineyard and it currently looks very promising. The shallow topsoil and deeply fractured rock profile are ideal. It’s possible to see roots penetrating the rocks. This year year we are spending a lot of time planning the new portions of the vineyard. While much is still in flux, as of now we have decided that only the steeper slopes with grades of 20-40% will be planted to vines. These steeper areas have the shallow soils, rocky sub-strata, low clay content and perfect soil chemistry that is optimal for great wine. It looks like there are at least 20 acres of potential upper slope vineyard with these characteristics. The flat areas are easier and cheaper to farm but will most likely produce fruit-driven wine that typically lacks the complexity and finesse of wines produced from the upper slopes. Given this, we have decided to farm organic alfalfa instead of growing grapes on the lower portions of the site. Similar to our current estate vineyards, we will have many distinct parcels or blocks and these will have vine densities of both 2300 (tractor farmed) and 7000 (hand farmed) vines per acre. Between the soils and climate, it is clear that this rocky site is quite low in vigor, making it ideal for this type of high density planting. Most of the blocks will be planted with what the French call “Selection Massale,” a diverse mixture of vines. We have found that this diversity helps create wines with more complexity and completeness than more typical monoclonal plantings. The majority of the vineyard will be dedicated to Pinot Noir but we have also decided to devote a few of the better situated acres to Chardonnay. The exceptionally cool climate of this area means that Chardonnay will typically ripen in mid to late October. Like Pinot Noir, California Chardonnay is only very rarely planted on such cool, rocky hillsides and we feel that this should produce something special. While it will take 4 or 5 years to produce wine from these efforts, we wanted to share our enthusiasm and keep our customers updated on our progress. We realize that this all seems somewhat premature since we haven’t even shipped wine from all of our existing vineyards in the Santa Cruz Mountains, but we will have much more to say about that topic with our Fall 2009 release!